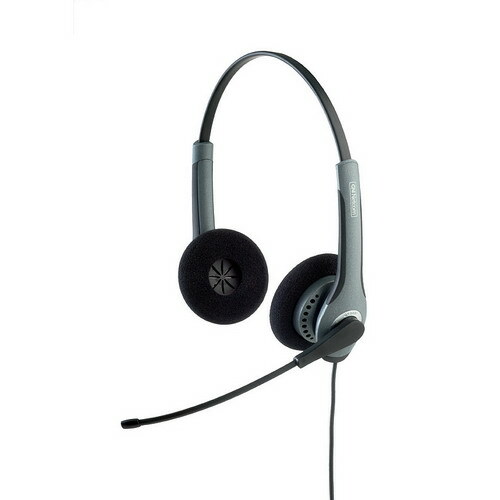 GN 2015 Binaural "Direct Connect" headset is the perfect call center headsets. It delivers "wideband" sound quality, day-to-day durability, all-day comfort and It's affordable. GN2015 is one of the few headsets that meets VoIP wideband standards. Two microphone/boom combinations are available, a flex/noise canceling combination and an industry-first flex/SoundTube model. They also include PeakStop technology for hearing protection. From its sturdy rubber-plastic composite to all-metal boom pivots and impact resistant headbands, every detail of the GN Netcom 2015 Series has been designed and engineered with durability in mind. Designed for telephones with modular Headset jacks built-in the telephone. (marked with the word "headset" or have a symbol of a headset). True wideband sound (150-6800 Hz) meets VoIP standards. First flexible SoundTube with a standard microphone. Extra-thick, pivoting ear cushions keep you comfortable and focused. PeakStop technology protects against sudden, loud sound spikes.